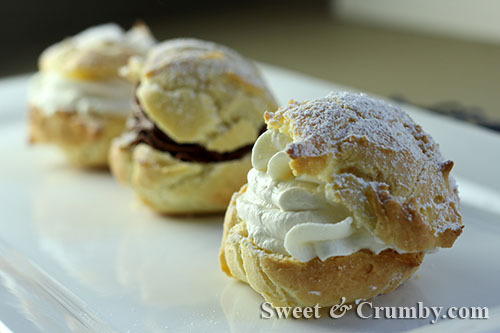 If you’re anything like me, you are taking a look at these pretty little cream puffs and thinking, “Yum, but way too much work.” The truth is you were half correct in your thinking. They are definitely yum but they are actually fairly easy, with a very short list of ingredients that you likely have in the house. 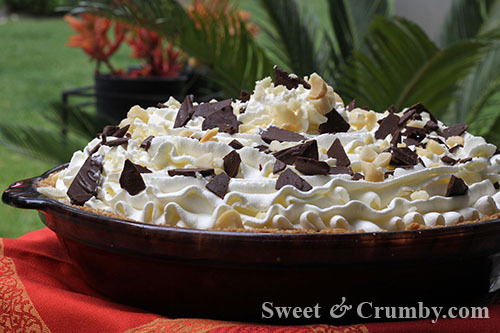 Categories: Chocolate, Other Desserts | Tags: bittersweet chocolate sauce, chocolate filling, chocolate whipped cream, cream puffs, dark chocolate sauce, pate a choux, profiteroles, whipped cream | Permalink.